Foam ear cushions compatible with all Addasound headsets except the Elite, they come as a pair. Leatherette ear cushions compatible with all Addasound headsets except the Elite, they come as a pair. 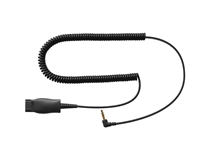 Adapter to convert an Addasound headset to a Jabra GN Connection. Makes it possible to use Addasound headsets with Jabra GN lower cords. 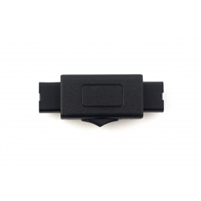 Addasound DN1001 QD to RJ9 for use with Addasound headsets and several desk phone makes and models, please call for compatibility if you are unsure. Addasound Inline Mute Switch adapter, great for call center use. 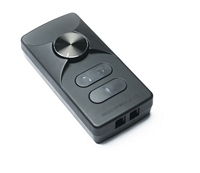 Addasound DN1003 QD to RJ9 for use with Addasound headsets and most Cisco desk phones. Call for compatibility if you are unsure. Addasound DN1005 QD to 2.5mm for use with Addasound and phones or other audio equipment with 2.5mm connections. Addasound DN1004 QD to RJ9 for use with Addasound headsets and many desk phones including several Nortel,Shoretel and NEC models. Call for compatibility if you are unsure. Addasound DN1006 QD to 3.5mm (4 Pin) for use with Addasound and IPhones. Addasound DN1002 QD to RJ9 for use with Addasound headsets an Avaya 9600 & 1600 series desk phones. Addasound Y Training Adapter with mute function. 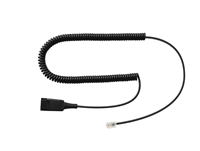 Y Style conferencing cable with QD connection. QD to Standard USB 2.0 for use with Addasound headsets and most computers. Please call for compatibility if you are unsure. 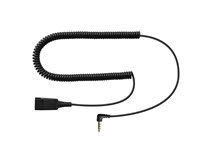 DN3222 QD to USB cable for use with Addasound headsets and various softphones. Please call for compatibility if you are unsure. Addasound DN1200 amplifier with Digital Signal processing to enhance voice clarity. Please see below for detailed features.